Andrew practises widely in the Federal Court, Supreme Court and District Court of NSW. He specialises in commercial, equity (including the law of confidential information) and administrative law, where he focuses on public contracts, administrative challenges to decision-making and freedom of information. Andrew has appeared in several notable cases, including for Sydney Water in an ICAC inquiry, in the Supreme Court and Court of Appeal, and various environmental law/negligence litigation cases over coastal protection from 2007 to the present in the Land and Environment Court, NSW Supreme Court, Court of Appeal and High Court of Australia. Andrew came to the bar in 2003 after 18 years with law firm Mallesons Stephen Jaques (King & Wood Mallesons). During that time, he worked in the Commercial Litigation, Corporate and Intellectual Property divisions and was the first person appointed Special Advisory Counsel within the firm. 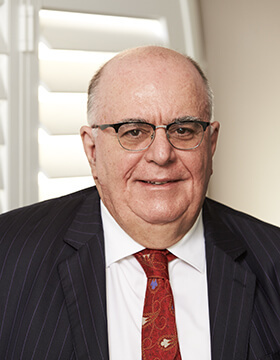 Andrew graduated from the University of New South Wales with an LLB in 1984 and was the winner of the NSW Law Society Young Solicitor of the Year Award in 1985 for an essay on the Law of Confidential Information.